Hollowick's EASY HEAT® Adjustable Wick Chafing Fuel is the only choice for your Chafing Fuel Needs. 24 pcs/pkg. 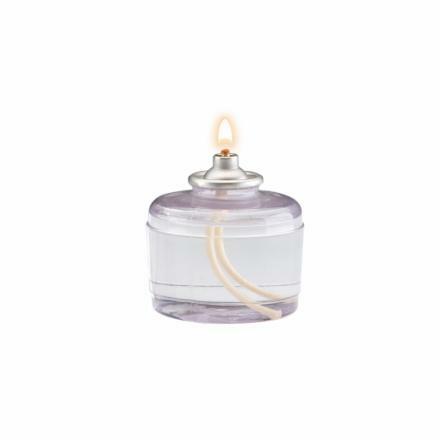 Better Burner: Patented wick and twin flame burner produces maximum heat output. Controllable, uniform and consistent. 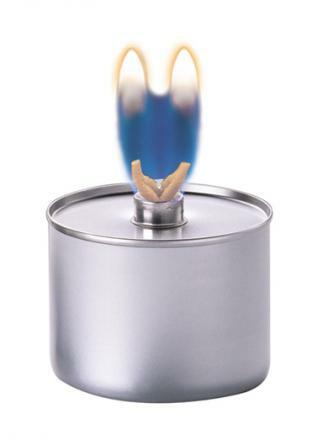 Unlike a gel fuel, the flame is always at the same height above the can. Safe: With Easy Heat, all the fuel is sealed in its container. The wick is the only thing that burns. Cans do not get hot, making Easy Heat safer to handle than a gel fuel. Placing cans directly on the tabletop is no longer an issue. Effecient and Economical: One standard can of EZ 6-3-8 will provide the same burn time as THREE (3) cans of gel fuel, saving you labor and significantly reduces inventory and waste. Easy Heat is also less expensive to use than gel chafing fuels when comparing costs per burn hour. Burner assembly. Complete with Wicking (Includes Snuffer, Cap, Stem, Hex Nut, Inner and Outer Wicks). For Hollowick refillable fuel cells. 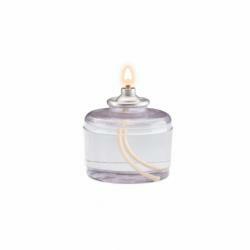 Pump to use to refill your own lamps by pumping Hollowick liquid wax lamp fuel into refillable cells. Designed to work with the Hollowick HFO-2.5 gallon refillable fuel container. Hollowick Refillable Fuel Cell holds 3-3/4 oz. 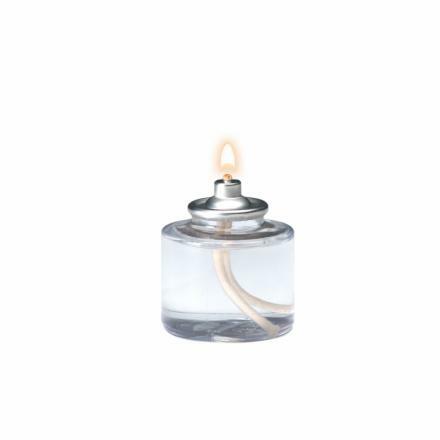 of fuel, providing approximately 25 hours of candlelight when used at its standard setting. The flame can also be adjusted to provide more light, if desired. Refill when needed with refillable lamp fuel. 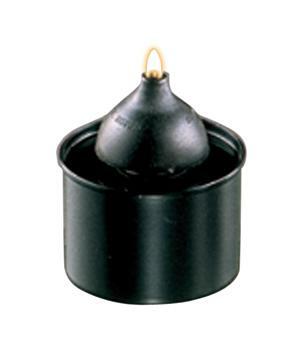 "Snuffer" in black plastic for Hollowick refillable fuels cells. 15 hours liquid wax fuel cells. 96pcs/pkg. Sold only in a full package, the price is per package. Designed to fit wherever a traditional wax votive candle would go. 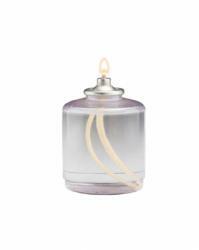 Over two full nights of candlelight from a single votive sized cell. • Ideal where table/lighting space is at a premium. • No wax mess to clean up. Clean simple operation. • Eliminates thermal shock breakage commonly associated with the use of solid wax candles. • Cost just pennies per hour to burn. 26 hours liquid wax fuel cells. 60pcs/pkg. Sold only in a full package, the price is per package. This economical midsize fuel cell only requires 1-2 changes per week. 36 hours liquid wax fuel cells. 24pcs/pkg. Sold only in a full package, the price is per package. The 36-hour fuel cell only needs to be replaced about once a week and will fit in most full size table lamps. 50 hours liquid wax fuel cells. 48pcs/pkg. Sold only in a full package, the price is per package. This economical full size fuel cell only needs to be replaced once per week. 8 hours liquid wax fuel cells. 180pcs/pkg. Sold only in a full package, the price is per package. 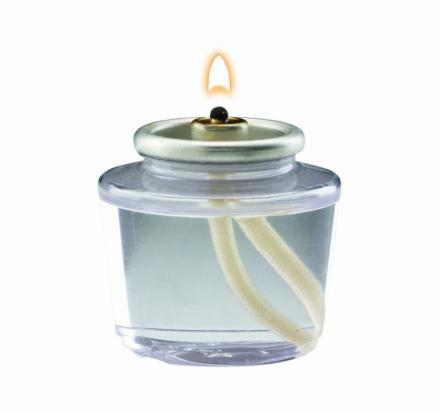 The only fuel cell that will fit anywhere a tealight would go…and will burn twice as long. Clean Candlelight Without Candle Mess. The best liquid wax lamp fuel available - burns cleaner than solid wax candles. Non-staining, and no melted wax mess. Using Hollowick disposable fuel cells is the most convenient way to operate your lamps and is preferred by most users today. Save labor by simply replacing the empty fuel cells with new ones. No other maintenance or adjustments necessary. All Hollowick lamps can be used with Hollowick disposable fuel cells.